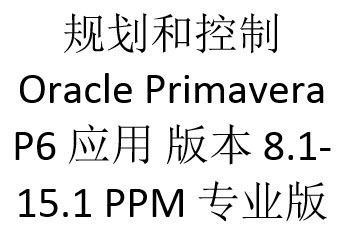 Primavera books advertised below are NOT Oracle Primavera books but are published with permission from Oracle. Companies who would like to search electronic versions of Eastwood Harris Oracle Primavera and Microsoft Project books may subscribe to Books24x7. Books24x7 is part of Skillsoft, one of the largest e-learning providers globally, and has a vast repository of professional content online, which caters to the corporate audience. Books available on the Books24x7 platform use Books24x7’s patented search technology and users may make notes, bookmark, and recommend titles to other users. 2. A NON EDITABLE PowerPoint show that may not be edited and this material is less expensive than the editable version. This slide presentation with approximately 500 slides is intended to be used by instructors presenting an Eastwood Harris Planning & Control Using Primavera P6 Version 8 to 17 three (3) day course. The cost will give access to a fully editable Power Point presentation where you may insert your own background and edit or add your own slides or an uneditable pdf of a PowerPoint show with Eastwood Harris logos.. The power point slides have instructor notes. The copyright of this material will always belong to Eastwood Harris Pty Ltd. Purchasers may edit and use the slides for running their own courses but may not sell the original material. 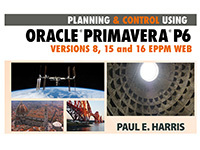 This slide presentation with approximately 384 slides is intended to be used by instructors presenting an Eastwood Harris Project Planning and Control Using Oracle Primavera P6 - Version 8.2 to 15.1 EPPM Web two (2) day course. The cost will give access to either an editable Powerpoit Presentations or an uneditable PDF of a PowerPoint show with Eastwood Harris logos. The copywrite of this material will always belong to Eastwood Harris Pty Ltd. Purchasers may use the slides for running their own courses but may not resell or distribute the original material. This slide presentation with approximately 172 slides is intended to be used by instructors presenting an Eastwood Harris Oracle Primavera P6 Version 8 and 15 EPPM Web Administrators Guide (2) day course. The cost will give access to a fully editable Power Point presentation where you may insert your own background and edit or add your own slides. The power point slides have instructor notes. The copyright of this material will always belong to Eastwood Harris Pty Ltd. Purchasers may edit and use the slides for running their own courses but may not sell the original material. This slide presentation with approximately 172 slides is intended to be used by instructors presenting an Eastwood Harris Planning & Control Using Primavera P6 Version 8.1 to 8.4three (3) day course . The cost will give access to an uneditable pdf of a PowerPoint show with Eastwood Harris logos. No slides may be added deleted or edited.The copyright of this material will always belong to Eastwood Harris Pty Ltd. Purchasers may use the slides for running their own courses but may not resell or distribute the original material. This slide presentation with approximately 470 slides is intended to be used by instructors presenting an Eastwood Harris Planning & Control Using Primavera P6 Version 8.1 to 8.4 three (3) day course. The cost will give access to a fully editable Power Point presentation where you may insert your own background and edit or add your own slides. The power point slides have instructor notes. The copyright of this material will always belong to Eastwood Harris Pty Ltd. Purchasers may edit and use the slides for running their own courses but may not sell the original material. Esta presentación de diapositivas de aproximadamente 490 diapositivas está intencionada para ser utilizada por instructores presentando el curso de Eastwood Harris de tres (3) días; Planificación y Control de Proyectos Usando Primavera P6 Versiones 8.1 a 8.4 Cliente Profesional & Cliente Opcional. El costo le dará acceso total a una presentación editable de PowerPoint en la cual usted podrá insertar su propio fondo y editar o agregar sus propias diapositivas. Las diapositivas de PowerPoint contienen notas para el instructor. Los derechos de autor de este material siempre pertenecerán a Eastwood Harris Pty Ltd. Los compradores pueden editar y usar las diapositivas para llevar a cabo sus propios cursos pero no deberían imprimir, revender o distribuir material original. El costo dará acceso a una presentación PDF no editable de PowerPoint con logos de Eastwood Harris. Ninguna diapositiva puede ser agregada, eliminada o editada. This slide presentation with approximately 205 slides is intended to be used by instructors presenting an Eastwood Harris Project Planning & Control Using Primavera P6 Version 7 three (3) day course. The cost will give access to a fully editable Power Point presentation where you may insert your own background and edit or add your own slides. The copyright of this material will always belong to Eastwood Harris Pty Ltd. Purchasers may edit and use the slides for running their own courses but may not sell the original material. This slide presentation with approximately 205 slides is intended to be used by instructors presenting an Eastwood Harris Project Planning & Control Using Primavera P6 Version 7 three (3) day course . The cost will give access to an uneditable PDF of a PowerPoint show with Eastwood Harris logos. No slides may be added deleted or edited.The copyright of this material will always belong to Eastwood Harris Pty Ltd. Purchasers may use the slides for running their own courses but may not resell or distribute the original material. This slide presentation with approximately 169 slides is intended to be used by instructors presenting an Eastwood Harris Primavera Contractor Version 6.1 two (2) day course. The cost will give access to a fully editable Power Point presentation where you may insert your own background and edit or add your own slides. The copyright of this material will always belong to Eastwood Harris Pty Ltd. Purchasers may edit and use the slides for running their own courses but may not sell the original material. This Primavera Contractor Power Point slide presentation is intended to be used by instructors presenting a Primavera Contractor training course using "Project Planning and Scheduling Using Primavera Contractor Version 6.1 Including Versions 4.1, 5.0 and 6.1 " as a course handout. The cost will give access to a fully editable Power Point presentation when you may insert your own background and edit or add your own slides. This slide presentation with approximately 140 slides is intended to be used by instructors presenting an Eastwood Harris Practical Application of Earned Value Performance Measurement one (1) day course. The cost will give access to a fully editable Power Point presentation where you may insert your own background and edit or add your own slides. The copyright of this material will always belong to Eastwood Harris Pty Ltd. Purchasers may edit and use the slides for running their own courses but may not sell the original material. Purchasers may print out their own student handouts by printing the slide show as "Notes Pages" from the "Print" dialogue box or purchase these handouts using the link above. This slide presentation with approximately 140 slides is intended to be used by instructors presenting an Eastwood Harris Practical Application of Earned Value Performance Measurement one (1) day course . The cost will give access to an uneditable PDF of a PowerPoint show with Eastwood Harris logos. No slides may be added deleted or edited.The copyright of this material will always belong to Eastwood Harris Pty Ltd. Purchasers may use the slides for running their own courses but may not resell or distribute the original material. Student workbooks will need to be ordered from www.eh.com.au or www.eastwoodharris.com to accompany this Powerpoint show. . This slide presentation with approximately 110 slides is intended to be used by instructors presenting an Eastwood Harris Principles of Planning for Building and Construction one (1) day course. The cost will give access to a fully editable Power Point presentation where you may insert your own background and edit or add your own slides. The copyright of this material will always belong to Eastwood Harris Pty Ltd. Purchasers may edit and use the slides for running their own courses but may not sell the original material. Purchasers may print out their own student handouts by printing the slide show as "Notes Pages" from the "Print" dialogue box. This slide presentation with approximately 110slides is intended to be used by instructors presenting an Eastwood Harris Principles of Planning for Building and Construction one (1) day course . The cost will give access to an uneditable pdf of a PowerPoint show with Eastwood Harris logos. No slides may be added deleted or edited.The copyright of this material will always belong to Eastwood Harris Pty Ltd. Purchasers may use the slides for running their own courses but may not resell or distribute the original material. Student workbooks will need to be ordered from www.eh.com.au or www.eastwoodharris.com to accompany this Powerpoint show. This slide presentation with approximately 24 slides is intended to be used by instructors presenting an Eastwood Harris Principles of Planning for IT Projects one (1) day course. The cost will give access to a fully editable Power Point presentation where you may insert your own background and edit or add your own slides. The copyright of this material will always belong to Eastwood Harris Pty Ltd. Purchasers may edit and use the slides for running their own courses but may not sell the original material. Purchasers may print out their own student handouts by printing the slide show as "Notes Pages" from the "Print" dialogue box. 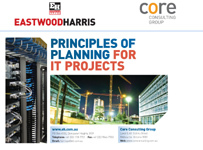 This slide presentation with approximately 25 slides is intended to be used by instructors presenting an Eastwood Harris Principles of Planning for IT Projects one (1) day course . The cost will give access to an uneditable PowerPoint show with Eastwood Harris logos. No slides may be added deleted or edited.The copyright of this material will always belong to Eastwood Harris Pty Ltd. Purchasers may use the slides for running their own courses but may not resell or distribute the original material. Student workbooks will need to be ordered from www.eh.com.au or www.eastwoodharris.com to accompany this Powerpoint show.